My friend political science professor and data nerd Zack Taylor has been producing these graphs for Toronto for the last couple years. 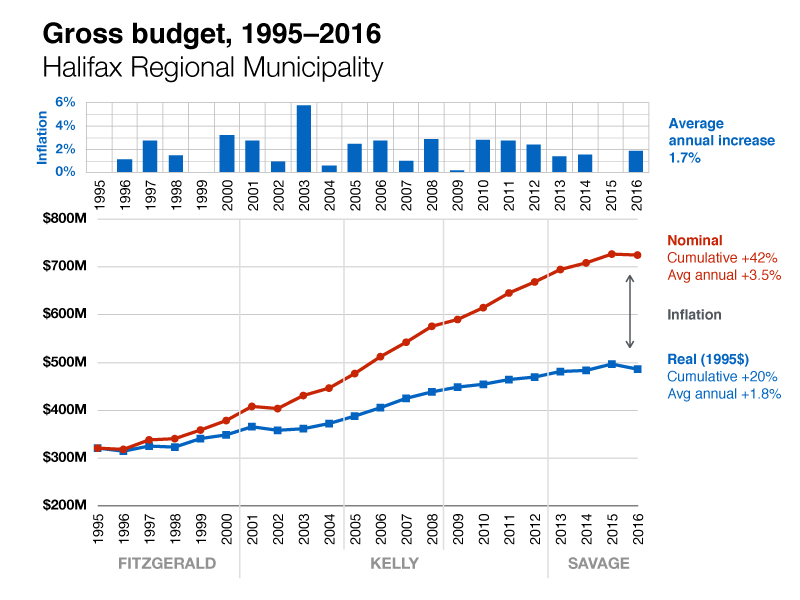 I worked to get him the HRM data, as I like the visualization as an indicator about “how are we doing” as far as taxes, budgeting and growth. Taxes and budget size has been dropping for the first time since the 1990s… read on. While the gross budget has grown tremendously, inflationary pressure has driven some of that growth. This graph shows the dollar value vs the inflation adjusted, or “real” budget. The real budget has grown by 20% since 1995. HRMs revenue comes from many sources, but the one most folks are concerned about is taxes. When inflation is factored in tax revenue has grown 28%. Seems high, until you factor in population growth (see below). 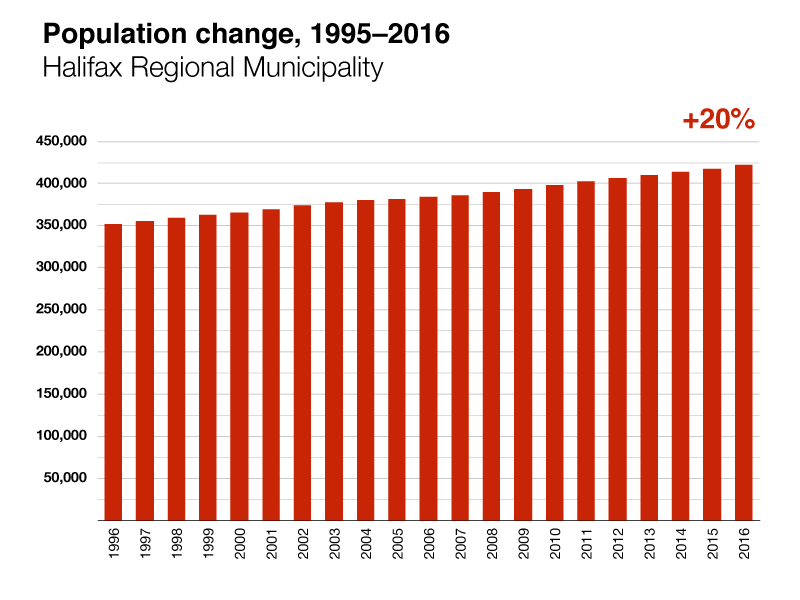 HRM’s total population as grown by 20% since 1995, so the number of people contributing to taxes and other revenue has grown. 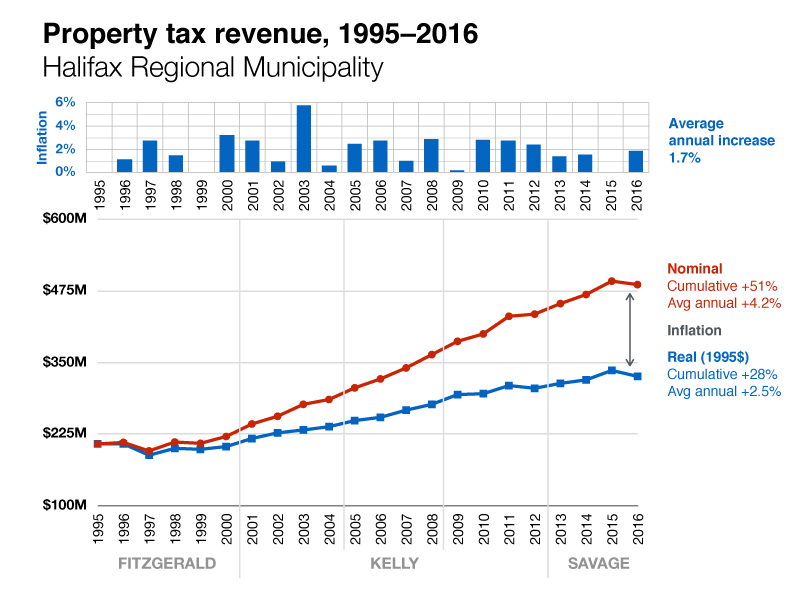 Property tax as a % of revenue dropped sharply after amalgamation but rose to its highest levels in 2011 and 2015. Property tax % today is about the same as 1996. Gross budget per capita in real dollars is at the lowest it has been since 2009 or 2010. 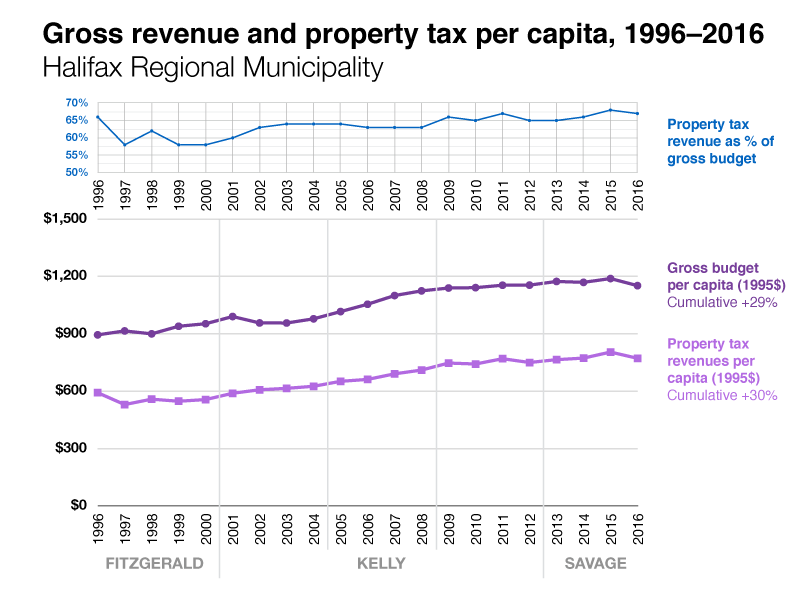 Property tax revenues per capita in real dollars are down around the same level as 2009.